There’s always something incredibly nostalgic and heartwarming about the classic jazz crooner. For someone like me, who was never alive to experience the golden days of artists like Bing Crosby, Frank Sinatra, Tony Bennett, and the rest of the gang, I can still draw nostalgia from my memories of sitting by the fire in my family home, listening to such tunes from my father’s (and grandmother’s) record collection. Today, the vocal tradition is carried on by notable greats such as Josh Groban and Michael Bublé, but the man who kicked off the modern era of contemporary vocal music surely has to be Harry Connick, Jr.
Song topics range from heartbreak to his love for his wife, Jill, from dealing with terminal illness to struggling with self-identity. It’s definitely a work that comes straight from the heart. You might wonder what exactly it is that makes this album any different than another songwriter’s work, though. Doesn’t everyone talk about similar topics in their lyrics? Well yes, they do, but the main difference here is that Connick distinguishes his sound through the grooves and instrumentation. For example, “The Greatest Love Story,” which addresses his relationship with his wife, features a pedal steel guitar to bring forth the indigenous culture of Texas, from where she hails. “I Love Her” is not just another love ballad; it’s heavy bossa nova influence transports you to an small, intimate Brazilian jazz club from decades past. Each song on Every Man Should Know constructs a distinct reality around the lyrics. Here lies the key to the successful songwriter – it’s not just about the words. Music is the language through which we all communicate on the most primal level, so it is essential the instrumental elements of each song augment the vocal sections. 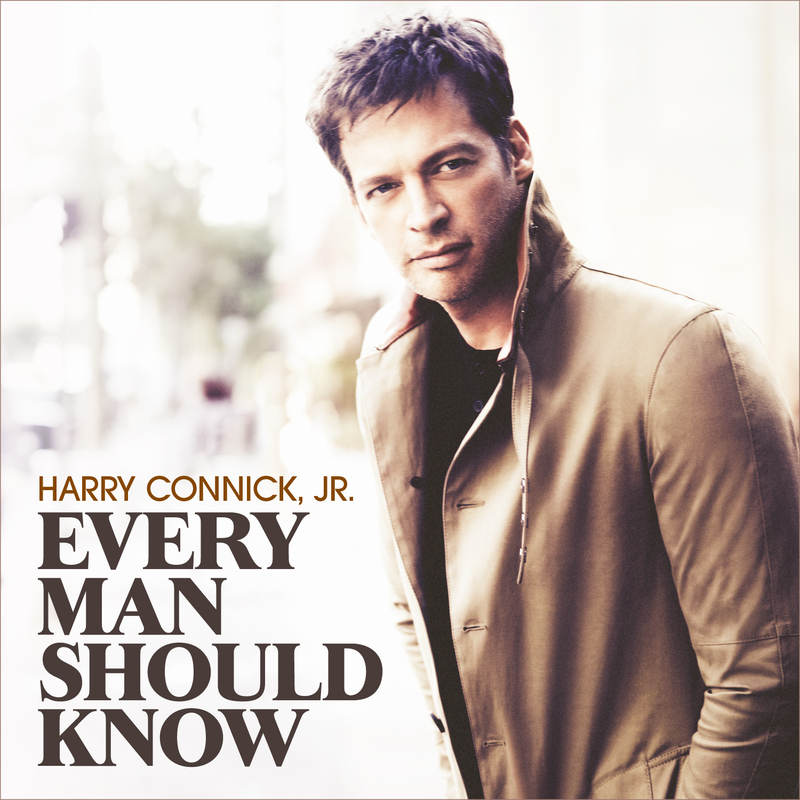 Most people will probably recognize the name Harry Connick, Jr. as a prominent jazz musician. Others may think of him as more of a contemporary pop artist. The beauty of this record is not that it focuses on any one of these personas individually, but rather that it gives each style its equal share. We hear elements of pop, jazz, R&B, Latin, and gospel music throughout the twelve tracks on Every Man Should Know. As a result, we see the full picture of the man we’ve come to know and love over the years, displayed transparently with his heart and soul exposed. Although the man’s golden age may have been back in the early ’90s, he certainly shows no signs of slowing down. Every Man Should Know holds up just as strongly in the face of his impressive history of work. Whether you are a longtime Connick fan or if you’ve never heard a single song of his, this album deserves your attention. It’s easy listening, to be sure, but it’s originality and musicianship does not suffer as a result. This entry was posted in Adult Contemporary, Contemporary R&B, Country-Pop, Soul Jazz, Vocal Jazz, Vocal Pop and tagged Every Man Should Know, Harry Connick, Jr.. Bookmark the permalink.